RF Test: What is the Normal Range for a Rheumatoid Factor Test? The rheumatoid factor is an antibody present in the blood of many patients with rheumatoid arthritis. Doctors measure the level of rheumatoid factor by performing a blood test. A positive rheumatoid factor test means that the level of rheumatoid factor in the patient’s blood is considered to be high. Rheumatoid factor was first described in connection to rheumatoid arthritis in 1940. For decades, a positive rheumatoid arthritis test was used to diagnose those with symptoms of rheumatoid arthritis. Today, a positive rheumatoid factor test is mostly used as a supportive tool to help doctors reach a diagnosis. Because rheumatoid factor may be present in other conditions, and in some healthy people, the test for it should be combined with other tools and criteria for it to be useful in diagnosis. A positive rheumatoid factor test is also used to determine a general prognosis for rheumatoid arthritis in adults and children. The immune system is an organized method through which the body fights off infections caused by bacteria, viruses and other organisms. A normal immune response to infection often involves the production of proteins such as antibodies to kill these invading organisms. Sometimes, however, certain antibodies produced by the immune system may attack healthy proteins. In other words, the antibodies turn against the person’s body damaging their health in the process. When this occurs, the immune response that is triggered may result in what we now know as an autoimmune disorder. A variety of conditions have been shown to occur from these autoimmune responses. Rheumatoid factor is one of many antibodies that are known to attack healthy tissue through an autoimmune process. When triggered, rheumatoid factor antibodies attack the healthy tissue resulting in a variety of symptoms. Typically, these symptoms cause inflammation in the synovium – a layer of soft tissue on the inner surface of joints, eventually leading to rheumatoid arthritis. Rheumatoid factor can also cause other symptoms seen in autoimmune disorders like Sjogren’s Syndrome. Rheumatoid factor is commonly associated with rheumatoid arthritis because when the antibody was discovered, it was initially mostly used to diagnose rheumatoid arthritis. Approximately 80% of adult rheumatoid arthritis patients test positive for rheumatoid factor. However, people without any autoimmune disorders can also test positive for rheumatoid factor. It is not exactly known what causes rheumatoid factor to develop in the blood. However, it is thought to be a combination of genetics and other external risk factors. The uncertainty may be because certain people have low levels of rheumatoid factor, which may not ever be enough to trigger a significant autoimmune response. On the other hand, people who have high levels of rheumatoid factor may go on to develop autoimmune disorders like rheumatoid arthritis, while others with elevated rheumatoid factor may not develop an autoimmune disorder. It isn’t completely known what triggers the autoimmune response that causes rheumatoid arthritis. Testing for rheumatoid factor is done through a blood test. The blood is drawn then analyzed for the presence of this particular protein. 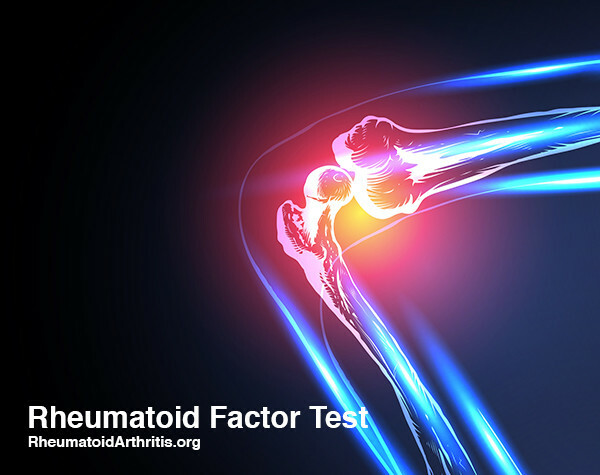 If the results show a certain level of rheumatoid factor, then the test is said to be positive. Rheumatoid factor tests can also detect lower levels of rheumatoid factor, but the test result is not considered positive unless it crosses that threshold. What Do Rheumatoid Factor Test Results Mean? Testing positive for rheumatoid does not necessarily mean the patient has rheumatoid arthritis. A positive for rheumatoid factor test results means that it can lead to or is the cause of inflammatory symptoms from an autoimmune disorder. In certain cases, however, patients may test positive for rheumatoid factor, yet remain healthy and never experience any obvious symptoms. Rheumatoid factor can be present in patients several months or even years before clinical rheumatoid arthritis symptoms develop. Depending on the level of symptoms a patient exhibits, the rheumatoid factor test results can assist doctors in reaching a rheumatoid arthritis diagnosis. Positive rheumatoid factor results in someone who has been clinically diagnosed with rheumatoid arthritis may also indicate the potential for a more aggressive disease course. This is possible in both children and adult patients. Patients who test negative for rheumatoid factor but still exhibit symptoms and meet other diagnostic criteria may still be diagnosed with rheumatoid arthritis. Patients who test positive for rheumatoid factor aren’t necessarily diagnosed with rheumatoid arthritis right away. There must also be a clear history of consistent rheumatoid arthritis symptoms. If your doctor suspects symptoms of rheumatoid arthritis, other criteria must first be taken into consideration before reaching a diagnosis. The presence of rheumatoid factor alone does not typically lead to an immediate rheumatoid arthritis diagnosis. Doctors look at physical symptoms, medical history and may conduct other blood tests, like anti-CCP, as well as imaging scans to help identify the condition. Depending on the final diagnosis, in some cases the presence of rheumatoid factor in a patient’s blood may help determine the type of treatment that will be provided to that patient, such as disease-modifying antirheumatic drugs (DMARDs). A positive rheumatoid factor test along with a rheumatoid arthritis diagnosis can potentially help the doctor determine a prognosis and an appropriate course of treatment. This may depend on a variety of factors. Determining a prognosis for rheumatoid arthritis patients can be a complicated process. The disease affects different people in different ways. A prognosis can depend largely on the type and severity of symptoms the patient displays, as well as their medical history. Many doctors and researchers feel that a positive rheumatoid factor test result may predict a more severe pattern of symptoms and overall disease course. Extra-articular symptoms like rheumatoid nodules may be more likely to form in patients who have positive rheumatoid factor blood test results. Other aggressive symptoms, though rare, could be more likely to occur in rheumatoid factor positive patients. These may include symptoms due to an autoimmune effect on the lung and heart. Rheumatoid factor-positive patients may also have a higher disease activity score, meaning frequent flare-ups and fewer remission periods. Keep in mind this isn’t always the case. If rheumatoid factor is tested and symptoms are detected early, a diagnosis can be quickly reached. Early diagnosis means treatment can begin sooner, hence preventing further progression of joint damage, swelling and pain.